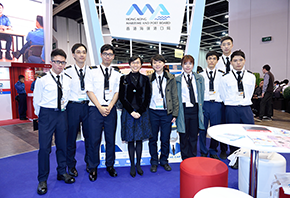 The Hong Kong Maritime and Port Board (HKMPB) took part in the Education & Careers Expo 2017 organised by the Hong Kong Trade Development Council. 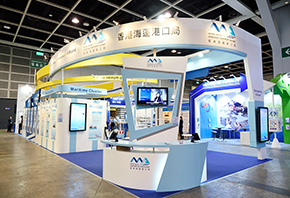 A booth was set up during the four-day expo from 23 to 26 February 2017 at the Hong Kong Convention and Exhibition Centre. 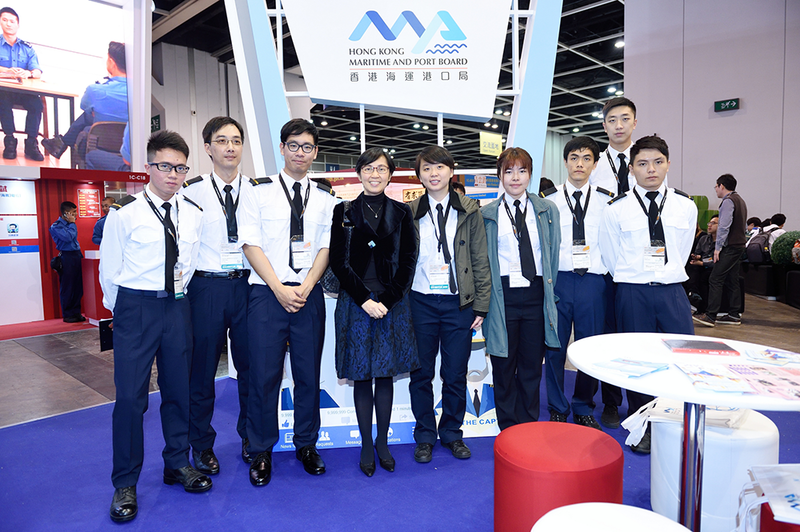 Through information panels, video clips, pamphlets, leaflets and interactive games, the HKMPB introduced to young people and visitors the career opportunities and prospects of various positions in the maritime industry, including seafarers, marine engineer officers, as well as practitioners in areas of maritime law and arbitration, ship management, ship finance, marine insurance and ship broking. 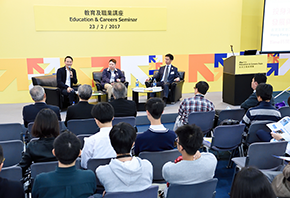 Experts of the industry were invited to share their own stories of how they joined the industry, their promotion paths and work experience. 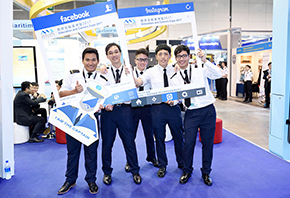 Moreover, at our invitation, students of the Maritime Services Training Institute helped out at the booths to explain to visitors the details of the seafarer training programmes, share their training experience and the fun part of it. 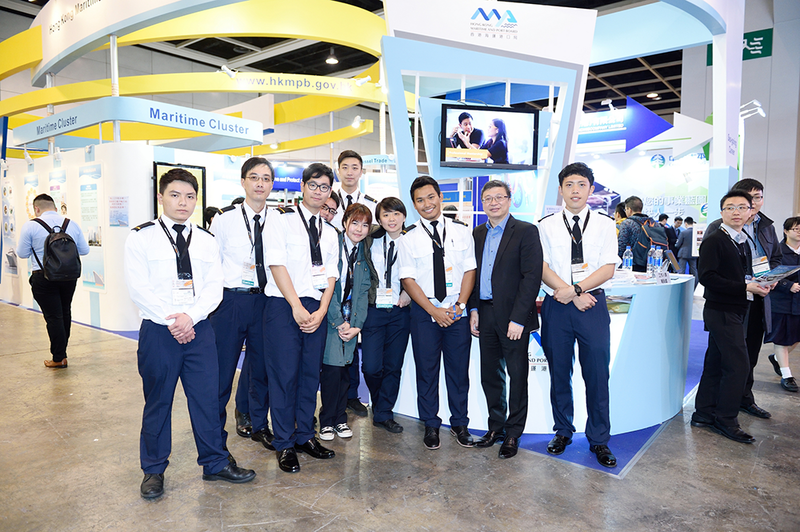 In addition, the booth exhibited the maritime-related training information, such as the various programmes offered by the tertiary institutions and the different schemes under the Maritime and Aviation Training Fund. 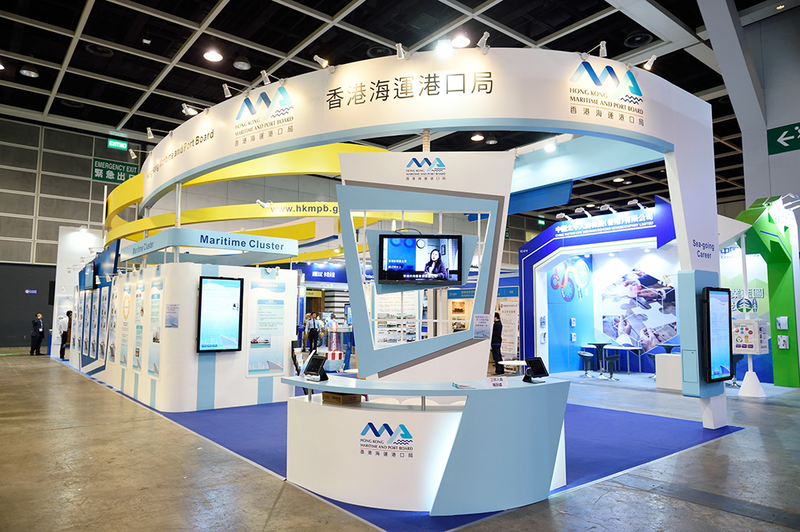 HKMPB hopes the exhibition can help enhance public awareness of the maritime industry and encourage them to join the industry.